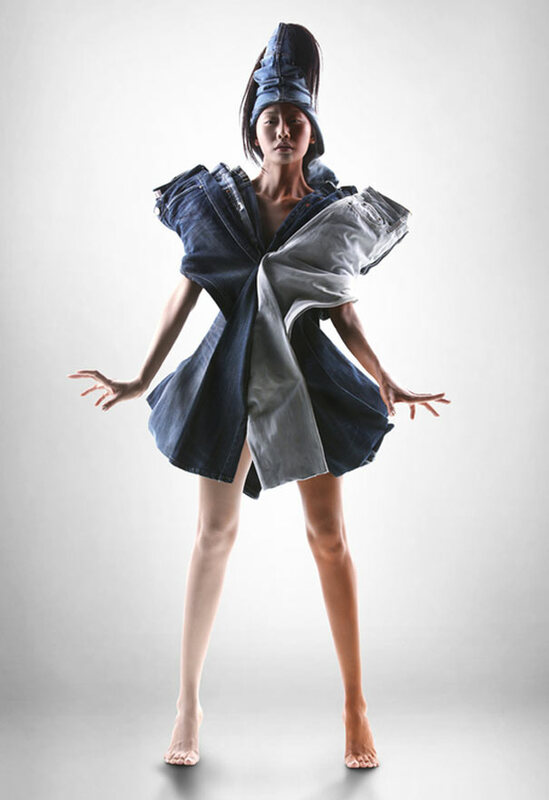 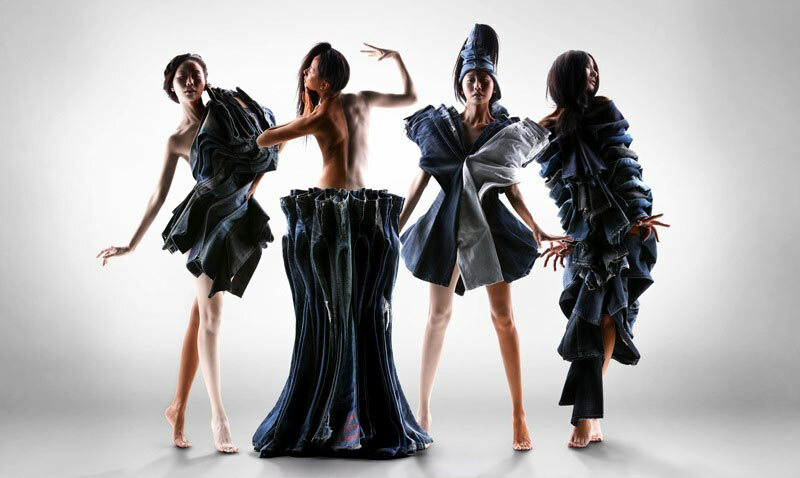 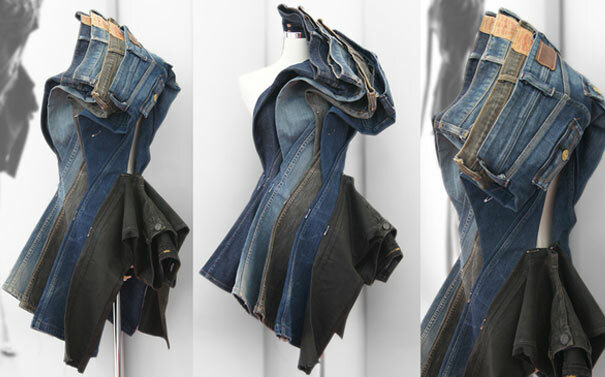 Jeffery Wang is the Founder and the Director of Blanq and BlanqWorld.com creative platform, he collaborated recently with Levi's and the Taiwanese Fubon Art Foundation to use recycled denim jeans to create art pieces from it. 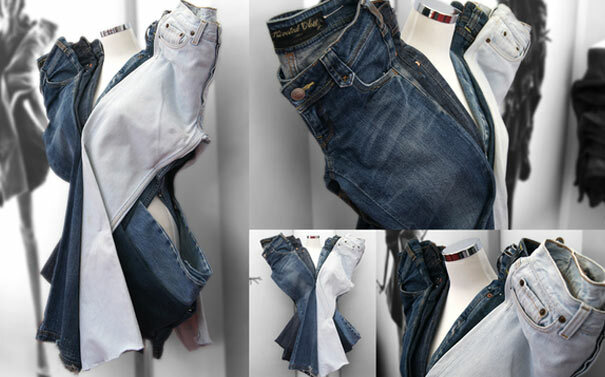 Believe it or not all those wonderful sculptures were not sewed but hold together by safety pins! 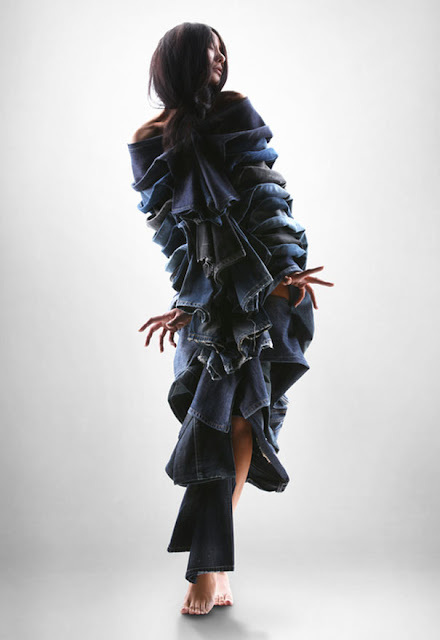 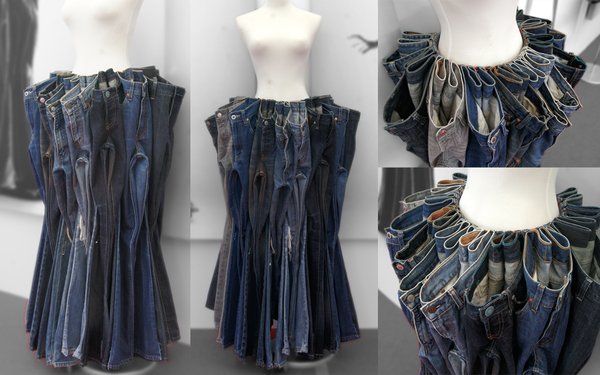 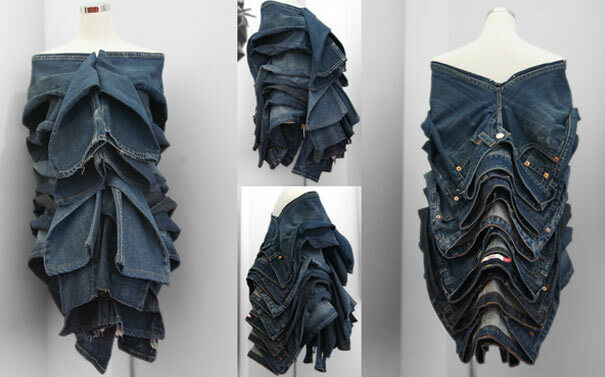 in order to keep the real spirit and shape of the denim jeans Mr. Wang decided not to cut or sew any of the pieces so this project was an A class recyclable project by all standers. 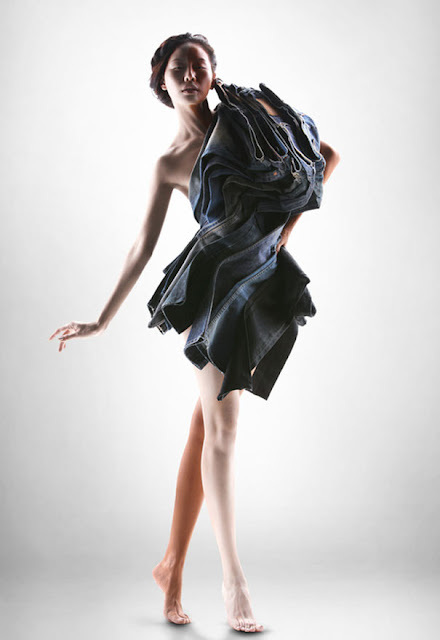 artistic pieces by Jeffery Wang.